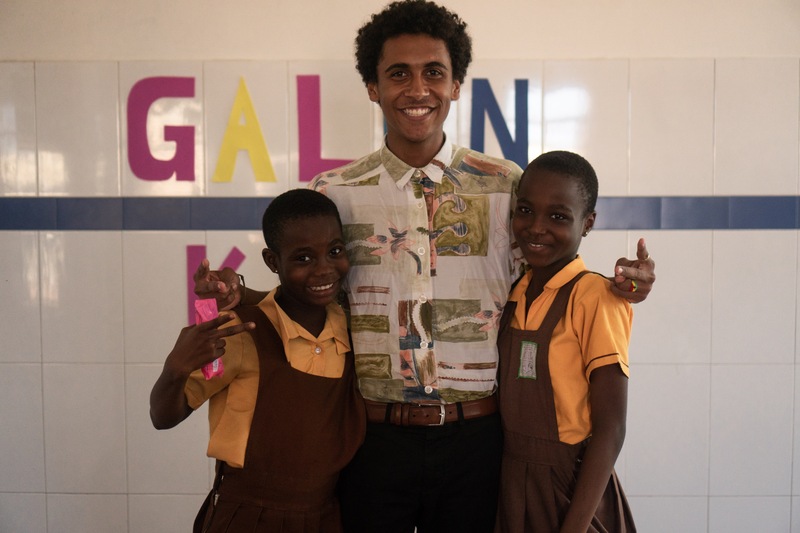 Galen Kiva, a recent Baobab Youth graduate, is an independent videographer, photographer, and traveler from Wakefield, Quebec. 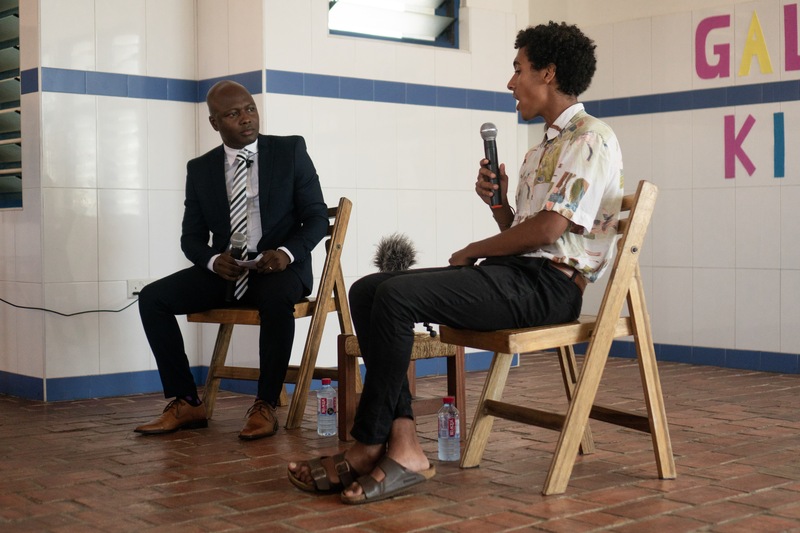 He spent two months in the Korle Gonno Community Library this past spring in Ghana, as part of his gap year after high school. He also visited all of the Osu Children’s Libraries in Ghana, documenting the stories of staff, students, and children through the medium of video and photography. Here is an account of his recent solo adventures in Ghana (if you can ever consider yourself being solo in Ghana). I was first introduced to Kathy Knowles and her fantastic organization when Vivian Amanor came to Ottawa in early 2017. I was part of a West African drumming group called Baobab Youth Performers, our group specialized in the drum, dance, and song of Ghana. We had the chance to attend an event put on for donors and friends of the OCLF, contributing in our own with a cultural performance to welcome Vivian to our lovely country. 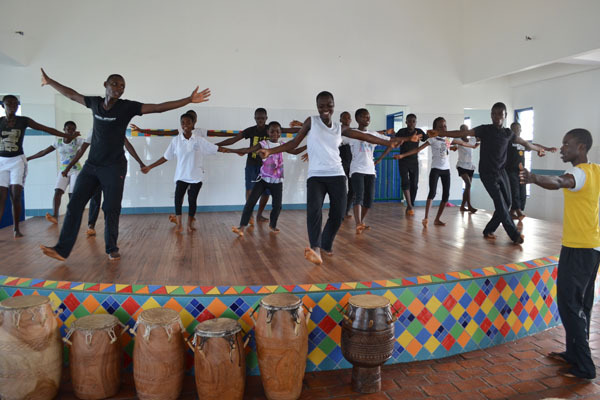 My next encounter with the OCLF, was when I visited Ghana in 2017 with the Baobab Youth Performers where we spent 3 weeks touring around the country. We visited multiple cultural sites, but we also had the amazing privilege to visit two of the OCLF’s libraries, the Nima Learning Centre, and the Goi Community Library. It was on our visit to the Nima Centre, that I was introduced to Martin Legend, the fantastic theatre director of the Kathy Knowles Theatre Company. We hit it off immediately, and he told me that the libraries, including the Nima Library and Learning Centre, offer volunteer opportunities. And I immediately knew what I was doing for my following gap year! Fast forward to May 2018, I was coming off a 2-month backpacking tour of Europe, flying above the Saharan desert on my way to Accra, unsure of what my two months at the Korle Gonno library held in store for me. But boy, was I sure in for a treat! I spent the next two months living atop the Korle Gonno Community Library on the fourth floor of the building in a quaint apartment with Kwabena, my roommate. 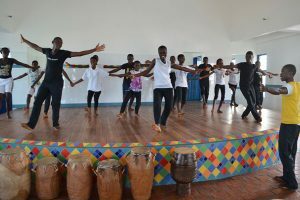 Kwabena is the arts director at the Korle Gonno Library, and he also goes around to a selection of the OCLF’s libraries to teach cultural dance to the youth who frequent the libraries. With our shared passion for the arts, we quickly formed a bond that continued to strengthen throughout my stay and blossomed into a truly beautiful brotherhood. 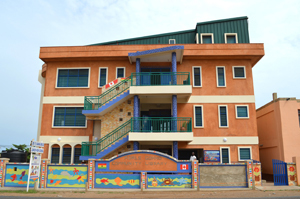 The Korle Gonno Community Library rises up above the fishing community of Korle Gonno, and provides anyone who makes the four-story climb to the top of the building, with a stunning view of the endless Atlantic Ocean. The other side of the building provided a view of the spanning corrugated rooftops of Korle Gonno with downtown Accra rising up in the hazy distance. A compound of schools was situated behind the library, which provided us with a seemingly non-stop flow of children, and a bustling environment, supplying a nurturing, safe environment for anybody who walk through our doors. It was a beautiful experience to be a part of aiding children and students foster their love for reading, giving themselves the tools to improve their future and seek opportunities that may not even be a consideration without the benefits of literacy. But I knew that I wanted to leave my own impact on this organization and everyone who has been touched by Kathy Knowles, and that was through my cinematography. So halfway through my stint in Ghana, I departed on a mission to capture the story of the OCLF, interviewing as many librarians, staff, children, students, government officials, anyone I could get my hands on who had been impacted by the incredible reach of the OCLF. And what a journey it turned out to be. As a result of undertaking this project, I had the incredible privilege to speak with some of the most fantastic, and compassionate souls that I have ever met in my lifetime. Individuals who were working with so little, yet had done so much for their communities to provide it’s youth with better futures and opportunities. It was an eye-opening experience, that taught me what it means to be truly compassionate and how I can leave a positive impact in my own community. What I have learnt during my time in Ghana will stay with me forever, and the people who I encountered who showed me nothing but warmth and love, sharing their culture and time with me with such open hearts. I cannot recommend volunteering with the OCLF enough, this organization is filled with so much good, it is contagious. To have the privilege to work alongside individuals like Joana, Vivian, Martin and Kwabena was a truly beautiful experience that I will never forget. I hope I can encourage someone else to set out on this adventure and to help in their own way!